The speciality of this itinerary is that it is surrounded by numerous historical monuments that include Ajanta and Ellora. Its significance goes further as the city offers the Aurangabad Caves, recognized as the most sought after tourist destination. 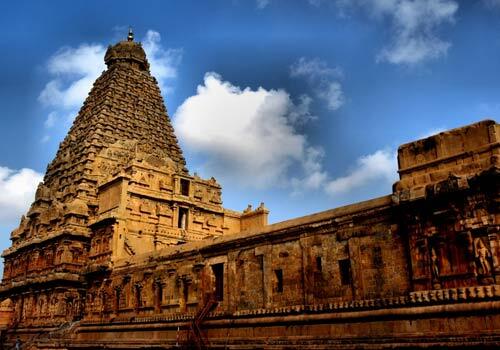 Experience the ancient beauty like never before with Travelogy India on this tour. 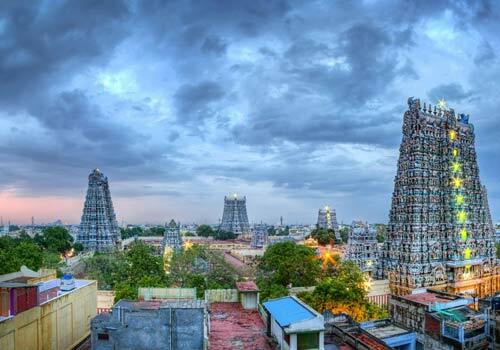 Apart from this special tour, it is noteworthy that South India tour, with its overall appeal, is something to cherish forever. 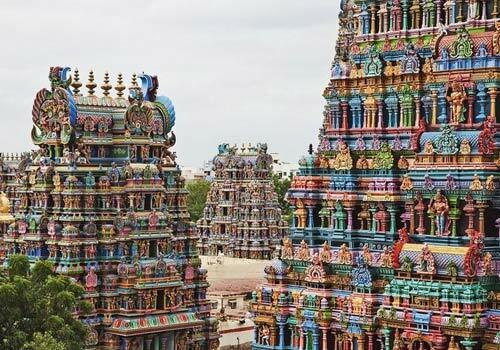 Just go to any of the vicinities embarking on South India tour and you will never run short of a wonderful India tour. 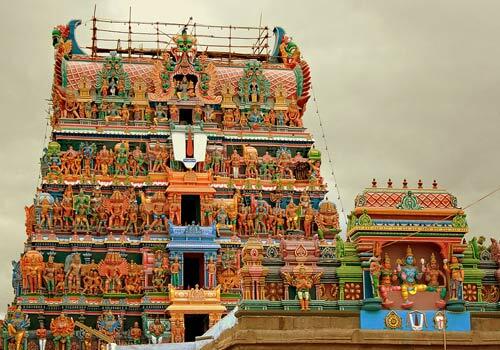 In fact, that is where South India tour reigns supreme on the Indian travel scene. In fact, that is where you become happiest of all. As you arrive at Mumbai Airport you will meet with a traditional 'Welcome' by our representative who will transfer you to the pre-booked hotel for rest and overnight stay. You are then taken for a city tour that covers places like Gateway of India, Elephanta Caves, Marine Drive and Prince Wales Museum-one of the most eclectic museums in India, Hanging Gardens, Victoria Rail Terminus. . Last but not the least a drive along Chowpatty Beach, where exuberance and excitement rule the roost. Return back to hotel in the evening for dinner and overnight stay. Today Morning after hearty breakfast take a half day excursion to Elephanta Caves. 9 Kms by sea from Gateway of India. We also drive through the Marine Drive, which runs along the shore of the Arabian Sea from Nariman Point past Chowpatty Beach to the foot of Malabar Hill. A ferry ride across the harbour takes you to Gharapuri - the local name for Elephanta. The elephant now rests at the entrance of the Victoria Gardens in Mumbai. In the Evening we will take you to Bangalore by flight – Known as “The garden city”. The spacious city has many magnificent structures full of historic & modern architecture. The majestic Vidhana Soudha, a magnificent post-independence structure housing the State legislature & Secretariat, stands in the center of the city with its attractive dome & galleries. You stay at the hotel overnight. On the 3nd day after your tea and breakfast the itinerary includes a tour of Tipu Sultan Palace; the layout of the palace gives the idea of the ethnic Mughal lifestyle. Next you visit Vidhan Sabha that houses the State's Legislature and Secretariat, the Nandi Temple that is one of oldest temples in India and is popularly known as the Bull temple. the Lal Bagh Garden, name Lal Bagh has been given to it for the wonderfully bloomed red roses that remain blooming all through the year. Haider Ali started building this garden in 1760 After you go back to the hotel and freshen up the itinerary includes a trip to the Mysore Palace, which was once the residence of the Woodeyars. It has always enchanted its admirers with its quaint charm, rich heritage, magnificent palaces, beautifully laid-out gardens, imposing buildings, broad avenues & sacred temples. Spend your night at the hotel. On the 4th day the itinerary includes a tour of the exclusive locales of Mysore. Visit Brindavan Gardens, dancing musical fountains on the terraces of Krishnarajasagar Dam, is a vast stretch of the most delicately planned symphony in architecture, horticulture, engineering & aesthetics. 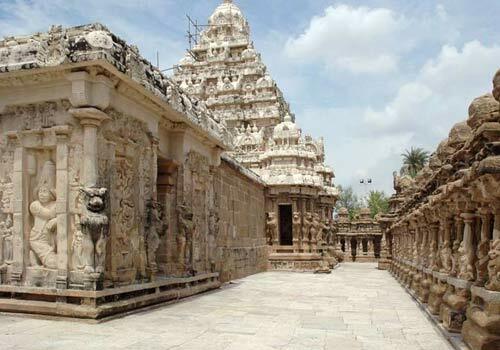 Srirangapatnam has a number of magnificent monuments that are important tourist destinations and are well worth a visit. 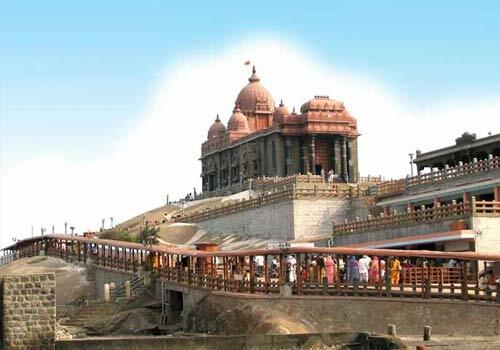 Depart from Mysore and proceed to Hassan and visiting the famous tourist attractions that fall en route such as the Sravanabelogola that is renowned for the 17m high statue of Lord Gomateshvara a top the Indragiri Hill. After breakfast, Spend your day in Hasan sightseeing that involves detailed excursions to Behur and Halebid. We also visit the Hoyasaleshwara Temple at Helebid, built by Kettuvallam, during 1121 AD. Dedicated to Lord Siva has two shrines connected by pillared walls & in each shrine is a Lingam Hoyasaleshwara & Shanthaleshwara. While away a lazy evening shopping at the colorful local markets. Return to the hotel and overnight stay. In the morning after breakfast we will take to Hospet - the World Heritage Center, is the most beautiful and evocative of all the ruins of Karnataka. once a beautiful capital city of Vijaynagar empire, in ancient days was known as Nagalapura. The city was razed to the ground by Sultan of South India in the year 1565. On arrival check into a hotel. Overnight. 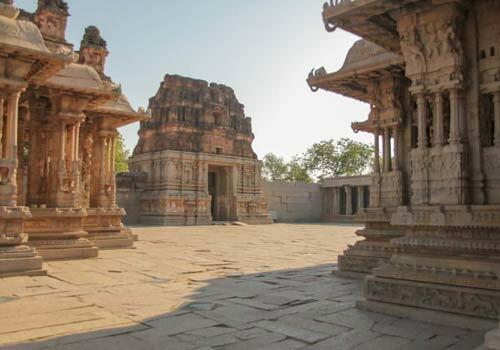 After having breakfast, Spend your entire day touring Hampi and Vijaynagar. Visit Hampi. The once beautiful capital city of Vijayanagar Empire - greater than Rome, had palaces, temples & sculptures, spread all over. We will also visit the ruins of the Virupaksha Temple, dedicated to Lord Shiva & Pampadevi. This is the only temple that is still used for worship. visit to King’s Palace, Mahanavami Dibba, Queen’s Bath - This structure has a very plain exterior but the interior is stunningly ornate, with graceful arched corridors, projecting balconies and lotus-shaped fountains that used to spout perfumed water for the ladies of the court. You may also visit to Lotus Mahal - An elegant example of the fusion of the Hindu and Muslim styles of architecture, Elephant Stables - An imposing edifice with arched entrances and many domes that once housed the magnificent state elephants. Pushkarni, Hazara Rama Temple and many more. Return back to hotel and Relax overnight in Hospet. Morning breakfast and check out and proceed to Badami. En route we will visit Pattadakkal & Ajhole. Pattadakkal, World Heritage centre & has 10 major temples representing the early haulakya architecture the biggest temple dedicated to Virupaksheshvara, has a huge gateway & several inscriptions. On arrival check in to the Hotel and relax. Badami is founded by Pulakesi I, ruler of the Chalukyas, the town is located at the foot of a rugged, red sandstone outcrop that surrounds Agastya tirtha water reservoir on three sides & is known for its rock-cut cave temples, sculpted between 6th-8th centuries AD. In the morning take a hearty breakfast and get ready to explore Badami, There are many temples dating from the Chalukyas period in Badami. Visit to Badami Caves – Picturesquely situated at the mouth of a ravine between two rocky hills, the exquisite sculptures and the rust red sandstone cliffs of Badami tell many a tale of yore. There are carved images of the Narasimha & Trivikrama avataras of Vishnu. Further up, is a Jain rock cut temple dedicated to the Tirthankara Adinath with inscriptions dating back to the 12th century. The Mallikarjuna temple dating 11th century on a star shaped plan. North Fort - This is the largest enclosure, including two major platform structures, an underground chamber which must have served as a treasury or private audience hall, several other platforms, Banashankari - is a quaint hamlet taking its name from the goddess Banashankari. 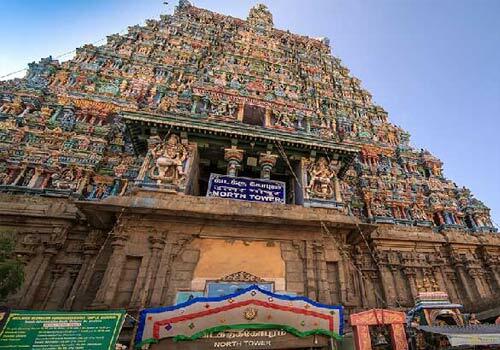 Built in the Dravidian style, the temple is dedicated to Banashankari, a form of Parvati. Return back to hotel and overnight. Today you will be transferred to Hubli after having breakfast. Hubli is a historic town was known as Raya Hubli & also as Elaya Puravada Halli during the ancient times. This city metamorphosed into an important commercial centre for trade in cotton & iron during the reign of the Vijaynagar Empire. You will be accommodated in a hotel for an overnight stay. On 11th day of your Enchanting Karnataka with Goa tour will begin with a voyage to Goa in the morning. It is known for its world heritage architecture including the Bom Jesus Basilica. The city famous for its pristine beaches, exquisite churches and lush green environs offers several options for a sightseeing tour. At Goa guests will check into a hotel for an overnight stay and the rest of the day will be free for relaxation or enjoying a casual walk at the beauteous beaches of Goa. Your Goa tour first will include a visit to the Santa Cruz Cathedral this Roman Catholic Church is a stunning edifice built in 16th century. The mortal remains of St. Francis Xavier, kept in a silver casket, are enshrined here. Sri Mangueas Temple, surrounded by rolling green hills & dedicated to Lord Shiva, is the most important of all temples in Goa & is located at Priol in Ponda Taluka. The visit to the church will be followed by drive back to hotel and the rest of the day will be free for independent activities or enjoying a peaceful walk on the beach.. The tour will also include the visit to the ensemble of monasteries, chapels and St. Francis Xavier. The afternoon will be marked for a visit to the Anjuna Flea Market later return to the hotel for an overnight stay.